#Earth Day should be everyday, #Green Chic Lifestyle! Im sharing a great BLOG! I just love this blogger and blog and wanted to share! 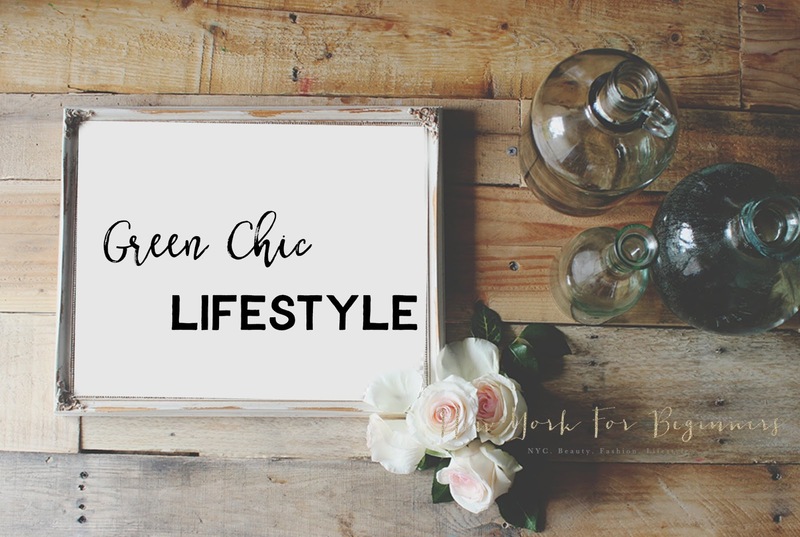 Earth Day: Green Chic Lifestyle! Happy Earth Day 2016! To celebrate such an important occasion, I have curated a special selection of mouth-watering items that will make your life easier and more environmentally-conscious. Who said that green couldn't be chic? 1. Lavender aromatherapy candle by Lather ($10): This gorgeous candle is made exclusively with natural ingredients. Manufactured with paraffin-free and 100% natural soy wax, a spun cotton wick, lavender essential oil and lavender buds, this wonderful candle quickly scents the room with a soothing and calming fragrance. This is one of my personal favorite candles to pair with a relaxing bath or for burning after a stressful day, right before I go to bed. 2. Organic Manuka Honey Lozenges by Wedderspoon ($11.99): Want to bring some USDA Organic Certified goodness in your life? These eucalyptus lozenges are a life saver. Chock-full with manuka honey and bee propolis, they are great to soothe raspy throats without synthetic nasties. Since I discovered them, I always carry a few lozenges in my purse- with this crazy New York spring weather you never know what to expect! 4. Garden-in-a-can by Back to the Roots ($23.96/ 4-pack): Do you have a green soul but lack the skills to keep your plants alive? Well, you've just found your soul mate: I sometimes believe I left my green hand back in Spain. This wonderful invention by Back To The Roots allows you to plant non-GMO/ USD organic-certified basil (shown in picture), cilantro, sage, and dill in the comfort of your own windowsill. As easy as opening the can, putting the seeds, and watering them, this cute kit allows makes it fun and easy to harvest your own organic herbs. With no chemicals and no messy drainage holes, this garden–in-a-can is the perfect companion for my wardrobe-sized apartment in Gotham, and makes it the ideal companion for families who want to initiate their kids in the wonders of healthy agriculture (and healthy eating!). 5. Pure Castile Rose Liquid Soap by Dr. Bronner ($10.99/ 16 oz. ): This liquid soap boasts one of the cleanest vegetable oil-based formulas out there. Made with organic and certified fair-trade ingredients, Dr. Bronner's soap is created after the original formulas originating from the Castile region in Spain, with which I'm personally acquainted. Vegetable oil-based Castile soaps have been used in my country for centuries, and I'm really glad to report that Dr. Bronner's formula is very much what I expected. This is a genuinely ecological and simple soap that can be used for almost anything: To clean your face, your body, or even your home – it's a great ally to wash food, do the dishes, get a sparkling laundry, mop your floors, or clean your pets– with no synthetic preservatives, detergents or foaming agents. This means no Sodium Lauryl/Laureth Sulfate, a common chemical detergent to which I am extremely allergic. I personally use Dr. Bronner's Pure Castile Liquid Soap to clean my kitchen and my bathroom; by mixing it with baking soda, it attacks the toughest grease stains. However, and because it is a very concentrated formula, you need to dilute it to get the best results. You can visit Dr. Bronner's blog here for suggestions on how to make the most of this wonderful product. 6. Hanging Air Plant Terrarium by Maker's Kit ($24, featured here with a black display stand from Amazon): This cute DIY green kit includes a hanging glass bubble, preserved moss and lichen, decorative rocks, a water atomizer, a Tillandsia plant, and an easy-to-follow set of instructions to take care of the lil' guy. You only need to provide a sunny spot for your new friend! 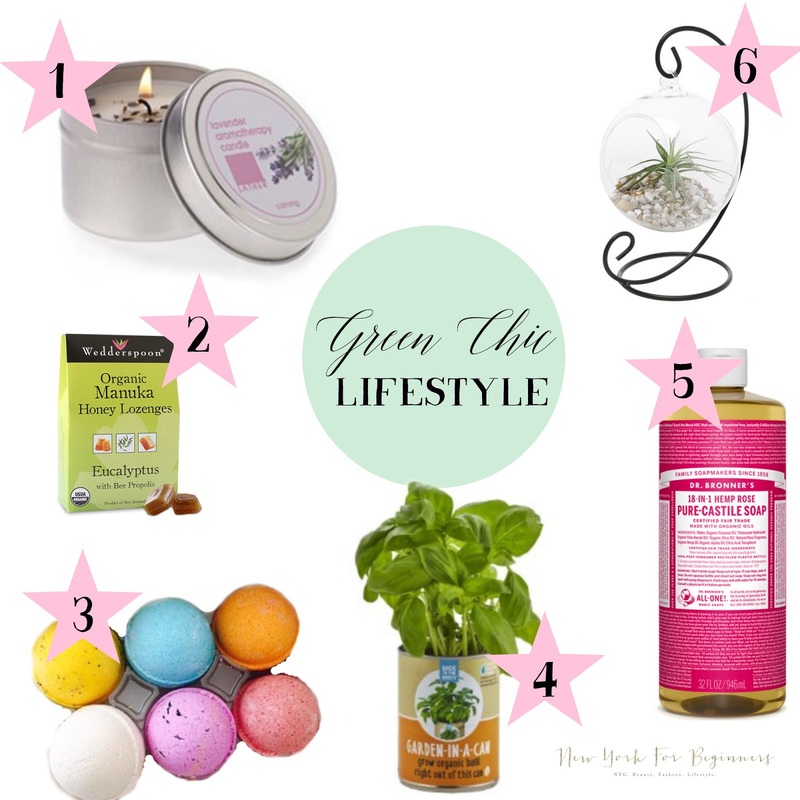 Posted in BEAUTY INSIDE AND OUT, BOOKS, diy, Events, fashion&trends, health&wellness, never2late, organics, products i	| Tagged bath bombs, earth day, g2organics, Garden-in-a-can by Back to the Roots, green beauty, Hanging Air Plant Terrarium by Maker's Kit, http://www.newyorkforbeginners.com/2016/04/earth-day-green-chic-lifestyle.html#.VyDTKT-Zb95, Lavender aromatherapy candle by Lather, Organic Manuka Honey Lozenges by Wedderspoon, Pure Castile Rose Liquid Soap by Dr. Bronner ($10.99/ 16 oz. ):, wedderspoon	| Comments Off on #Earth Day should be everyday, #Green Chic Lifestyle! 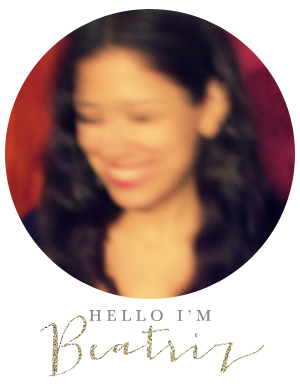 Im sharing a great BLOG!